"It is so much fun playing basketball for SUNY Adirondack. Our team is so together. We play as a team, act as a team, even when we lose, we are all in it together." 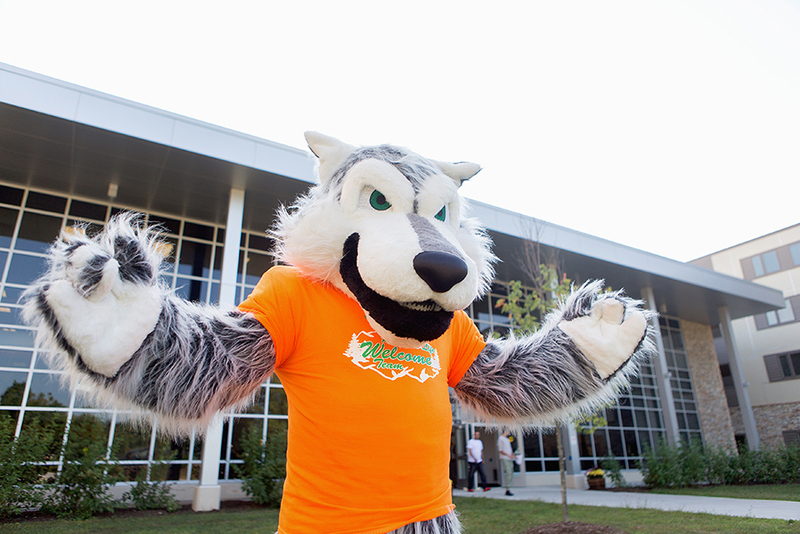 Meet Eddy Rondack, the official mascot of the SUNY Adirondack Timberwolves. Affiliation: All teams are affiliated with the National Junior College Athletic Association (NJCAA Region III) and the Mountain Valley Collegiate Conference. At SUNY Adirondack, we don’t just care about our athletes’ performances on the field and the court. We created the Student-Athlete Advising Program to help our star athletes become star students. Through advising specifically designed to meet the demands of an athlete’s schedule, our Student-Athlete Advising program will give you the support you need to balance athletic and academic responsibilities.